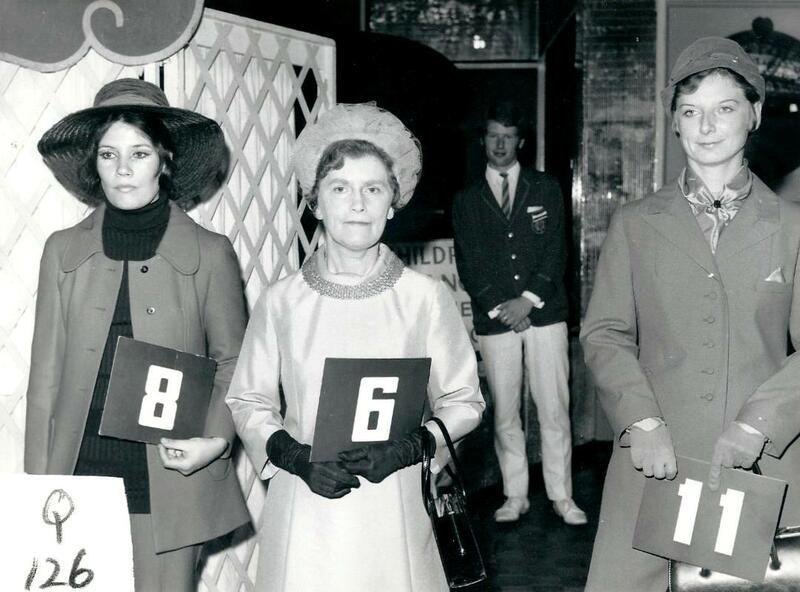 In 1969 I joined the Ayr Entertainments team as a lifeguard during the day, and Redcoat in the evenings. 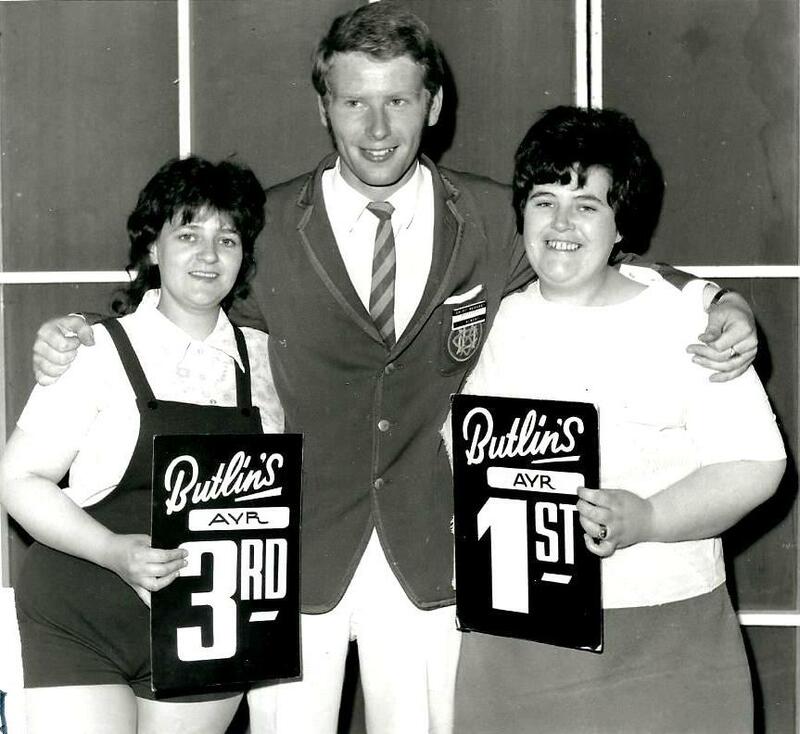 I returned in 1970, and now here in 1971 I'm doing my third season at BUTLINS AYR. ALAN RIDGWAY was the Ent's Manager for my first two seasons, but here in 71 BRETT CRESSWELL took over that role, and brought in almost a completely new team - meaning that most of my old mates had gone. Sunday mornings was "Meet the Reds," where the recently arrived Campers could get to know some of the Redcoats who would be looking after them during the week. Seated: Tim Fox - Ricky Gibson. 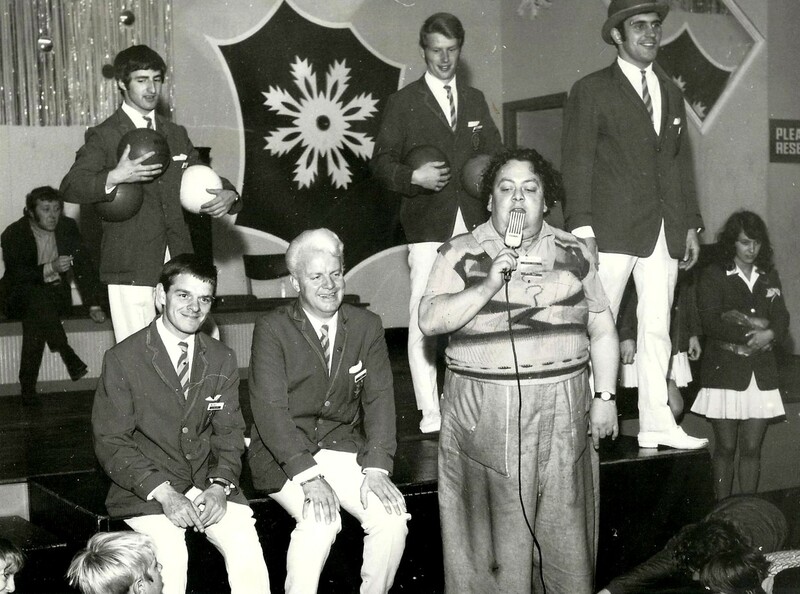 Compere DENNIS VENTON, who had been working on different Butlins sites, as camp comic, for at least seven seasons. 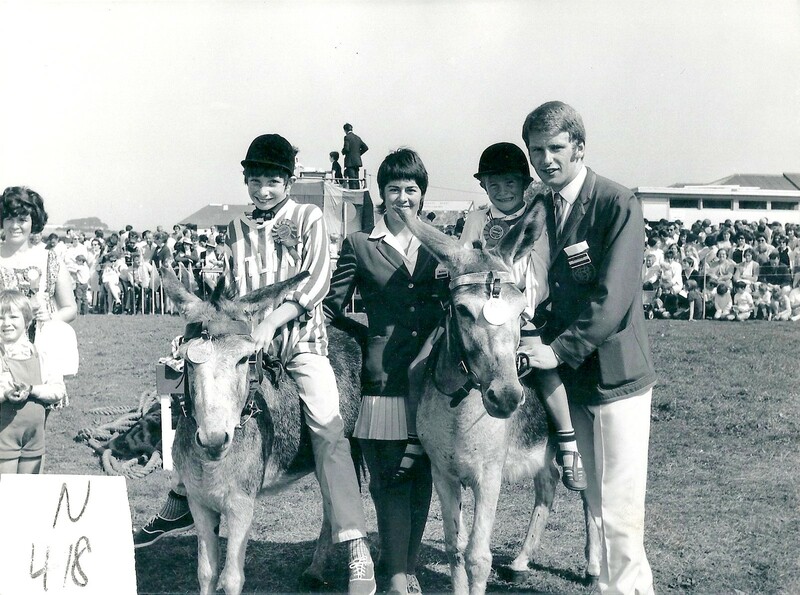 ... for little girls get bigger every day"
If you think these jockeys are too big for the donkeys, check out the ones below. Blimey! I nearly got left out of this photo. Next time, I'm going to make sure I get nearer to the camera. Line-up includes: Archie Baker, Albert Mosley, Tony Peers, Blue Peers. 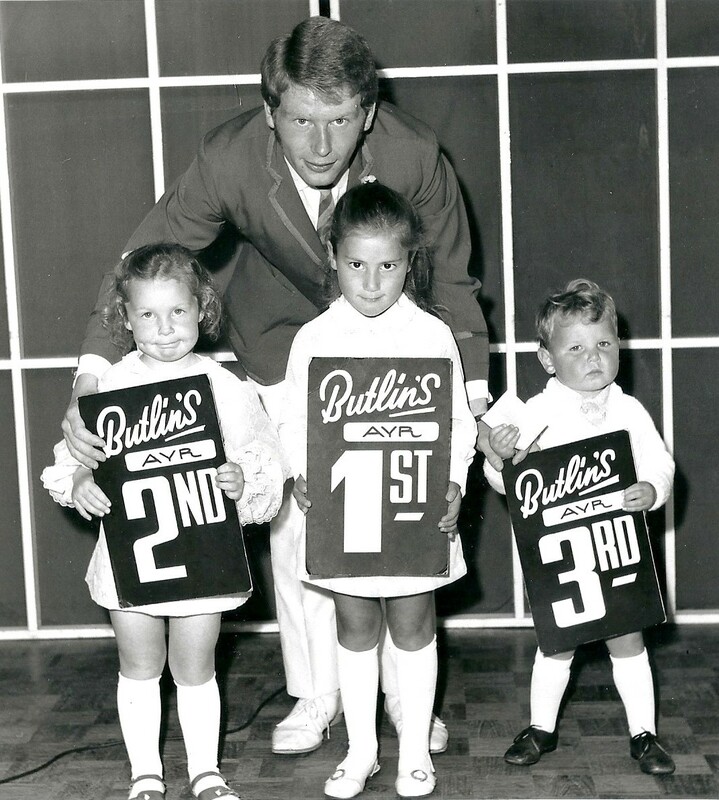 And so, with all the Redcoats waving GOODBYE - in the finale of the Redcoat Show - that is also my fond farewell to Butlins. 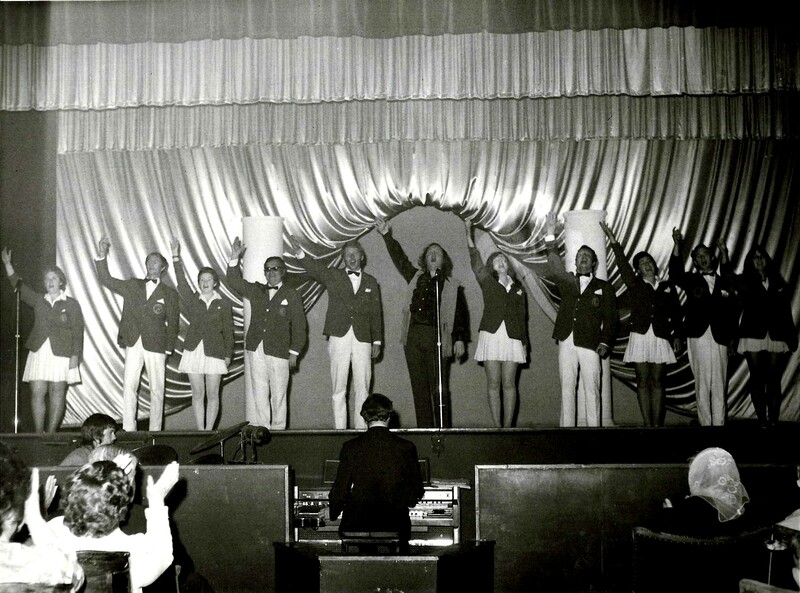 I'd had three fabulous seasons, during which I met some really nice campers, some super staff members, and worked with some terrific Redcoats, Entertainers, and Managers. 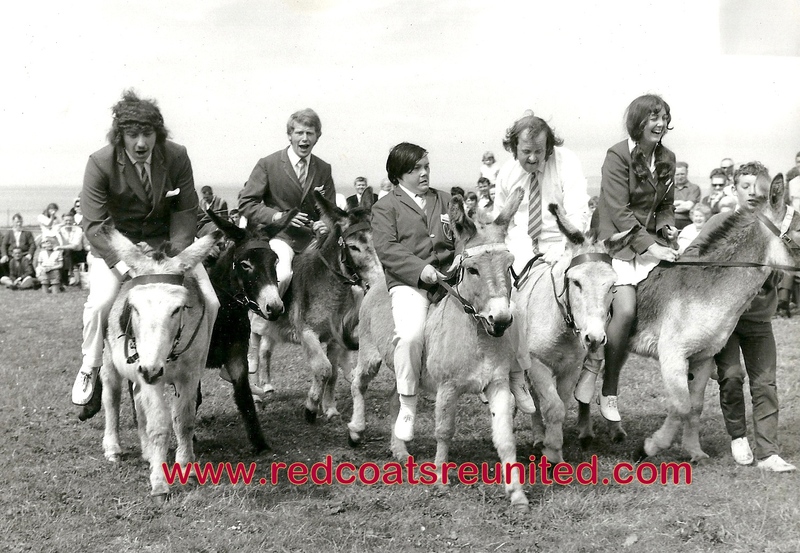 I'd been a Lifeguard, done Redcoat duties, and then, during this 1971 season, been promoted to Chief Redcoat. 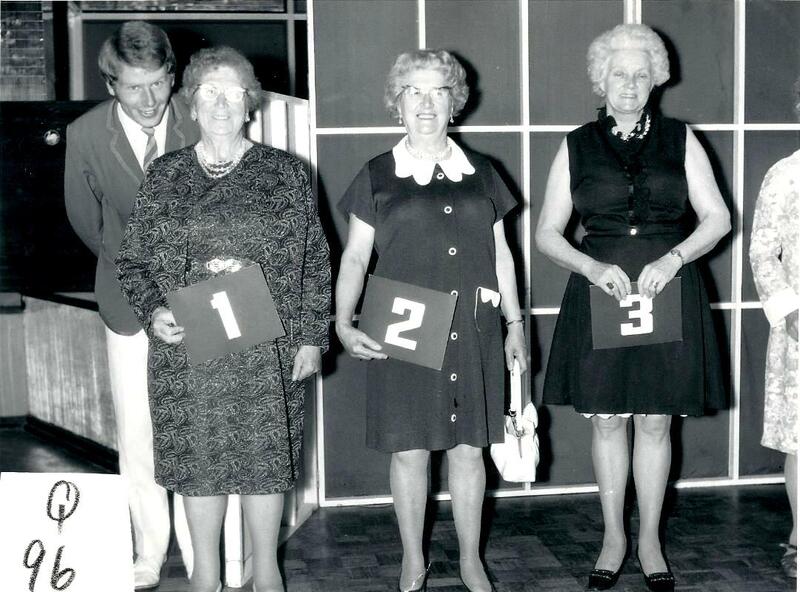 I'd also appeared in the Redcoat Shows for all three seasons. So I'd had a great time - and what great times they were. Wish I could do it all again! !